Anyone else dreaming of spring? I really can't complain about the winter season too much since I feel like we had been getting off easy. I don't want to speak too soon BUT maybe this winter thing isn't so bad this year. 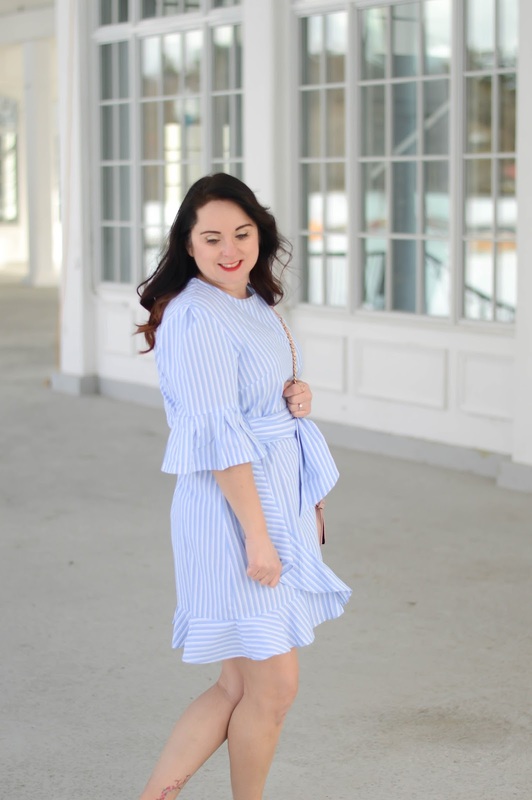 I have had a HUGE ruffle obsession lately and this blue dress is actually under $20! I can't wait to wear it!